This website is best viewed in modern browsers like Google Chrome and Mozilla Firefox. About Go4Reviews.in : Go4Reviews.in was initially formed by 4 people with common interests and was initially envisaged as a medium for each one of the visitor to share their views and suggestions from different walk of life. Established in 2014, Go4Reviews forayed into Real Estate reviews followed by School Education reviews by the time it turned 1 year old. 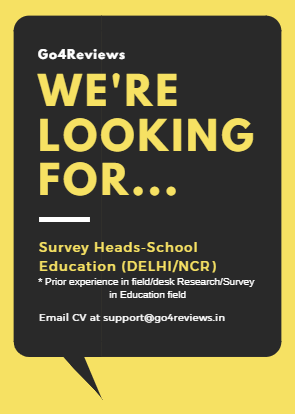 Since last 2 years, Go4Reviews has been doing Surveys of Schools in Delhi NCR cities, Pune, Bangalore and Chandigarh. In association with SchoolBrainer, it has recently come up with most scientific and research oriented survey rankings for schools. 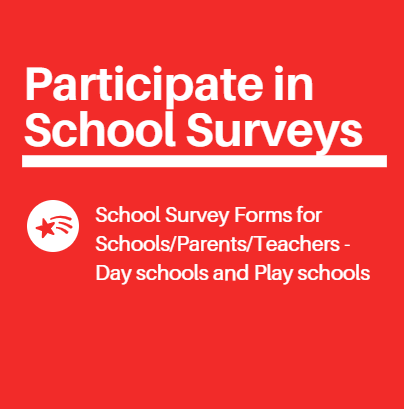 Unlike other surveys, Go4Reviews considers School submitted survey form as just one input to ratings. Parent’s reviews and feedback, online Survey and Social Analytics software are considered as per a scientifically designed weightage. By the onset of year 2018, Go4Reviews.in has grown up to be a 10 member plus group with 4 Survey heads catering to different regions, 4 backend support personnel, 1 retired professor from Education background, 1 Senior consultant lawyer and 2 of the management team members. We are top ranking website on Google search for school information in Noida, Greater Noida, Greater Faridabad and Ghaziabad regions. 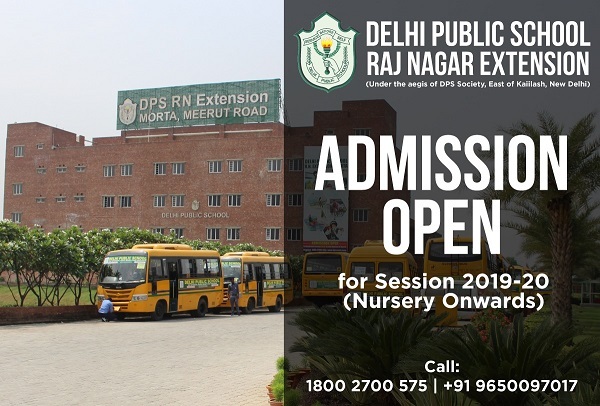 We also rank on top for Dwarka Delhi and Sohna Road Gurgaon school reviews. Buoyed by the love, we are further expanding to other regions in Gurgaon and Faridabad and would simultaneously expand operations in Panchkula, Chandigarh and Zirakpur area by end of this year. Disclaimer: There is no intent to malign image of any product/property/scjpp; and reviews are based on a fair assessment of quality (that may be subjective in nature)/durability and feedback as shared by users/customers/parents. Though all efforts have been made to ensure the accuracy and currency of the content on this website, the same should not be construed as a statement of law or used for any legal purposes. In case of any ambiguity or doubts, users are advised to verify / check with the other source(s), and to obtain appropriate professional advice. The information mentioned herewith on the website is also subject to change without notice. You agree that the Go4reviews.in will not be liable to you for any direct, indirect, incidental, special, consequential or exemplary damages, including but not limited to damages for loss of profits through : (i) the use or inability to use the website; (ii) the cost of getting substitute goods and services resulting from any products, data, information or services obtained or messages received or transactions entered into, through or from the website; (iii) unauthorized access to or alteration of your transmissions or data; (iv) statements or conduct of anyone on the website; or (v) any other matter relating to the website. Similarly, third parties like Schools, sports academies etc. may advertise on our website. We may be compensated for the same. This in no way means we endorse or support the school in any which way. Advertisements on our website do not enable the school to have any privilege over data or survey or school etc. rankings given on our website. Our Survey process is robust and well documented and there is no scope for bias. Third Party Sites: Please note that this site may contain links to external sites including but not limited to advertisers, content and e-commerce providers (collectively, “Third-Party Services”) whose policy and terms and conditions are beyond the control of this website. You agree you are wholly responsible for making your own independent judgment regarding your user or interaction with such Third-Party Services. Use Of Content/Copyright. All of the content on Go4Reviews is owned by Go4Reviews.in unless otherwise explicitly specified (some images are courtesy their actual owners where due credit is given to the source) and is protected by copyright laws. You are allowed to use our content for personal, non-commercial use only. None of our content may be republished, posted, transmitted, stored, sold, distributed or modified without our prior written consent. No Endorsement of User Content on Forum. Our Forum Users are solely responsible for all posted content that is uploaded, posted, emailed or transmitted on Go4Reviews. “User Content” implies User-Posted content or information of any type or medium, including but not limited to: emails or other messages; other forms of communication through the forum; personal User information; board posts; reader reviews; blogs, ratings, data, notes and testimonials; images; audio or video files. User acknowledges and agree that Go4Reviews does not endorse any User Content and is not responsible or liable for any User Content, even though it may be unlawful, harassing, libelous, privacy invading, abusive, threatening, harmful, hateful, vulgar, obscene, and/or disruptive, or may infringe upon, misappropriate, or otherwise violate the intellectual property or other rights of another. User acknowledges that Go4Reviews does not pre-screen User Content, and has no obligation to do so, but that Go4Reviews and its staff will have the right (but not the obligation) in their sole discretion to refuse, edit, move or remove any User Content that is posted on the Forum. If you find any Posts in these forums to be offensive or threatening, please contact admin at support@go4reviews.in with the URL of the Post. If we determine that removal of a Post or Posts is necessary, we will make reasonable efforts to do so in a timely manner. Go4Reviews will make every effort to provide a free and open discussion environment within the boundaries of the Terms and Conditions of Use and the Terms and Conditions Membership that does not contain offensive or threatening messages, but cannot guarantee that all such messages will be found and removed within any specific time frame. Coupons and Deals on Go4Reviews. While every care is taken to check the authenticity of an offer, we will not be liable to you for any direct, indirect, incidental, special, consequential or exemplary damages, including but not limited to damages for loss of profits. Trademarks and Logos. All other trademarks and logos or registered trademarks and logos found on our website or mentioned herein belong to their respective owners. Contact us: In case you would like to reach us, please drop an email at support@go4reviews.in and we would be more than happy to get back to you at the earliest possible. It is a real great effort and I would like to congratulate the team for such un-biased reviews which are not only interesting but informative as well. Keep up the good work. Thanks Mayank for your kind words. Hope we continue to live up to your expectations. Great going. Keep up the good work. Do you guys plan to specifically include reviews of films, plays as well? Guess it would be better to have separate sections as well as you grow. We would definitely expand our horizon as we grow. Also, at this point you can select category/section of your interest from review category links to left side of the page. We are working on separate sections though.